Guest rooms are often multifunctional: for the most time they serve as a simple extra bathroom, but they can also become a dedicated space for the guests when they spend the night. Guest rooms also tend to become storage areas for extra items that other bathrooms can’t fix. Such issues make people neglect the decor of their guest baths, so, how could you decorate your guest bath si it speaks about your personal style and is both functional and comfy? 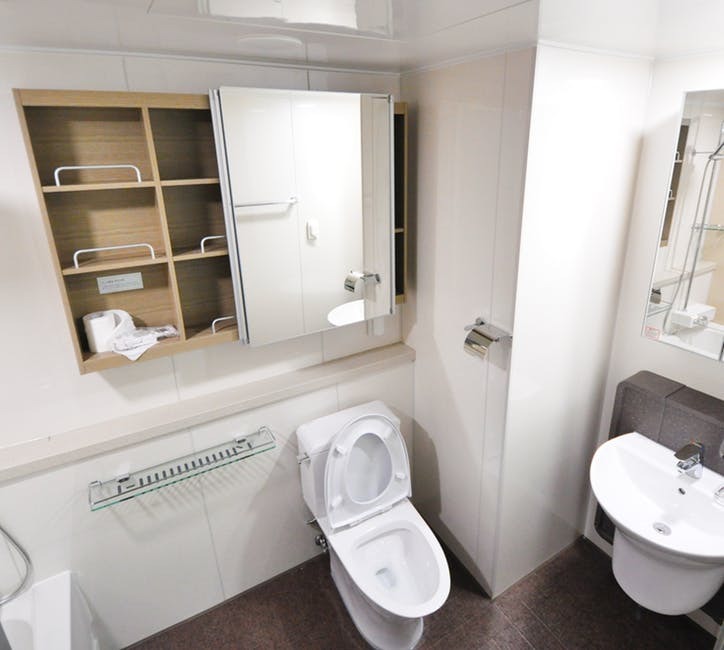 Bathroom spaces must feel clean and fresh, and ou can accomplish this by simply cleaning your bathroom regularly. Remember guest will always look the floor, the corner behind the door, and the baseboards, so take some time cleaning the space up. You can also make your guest believe the bath is perfectly clean with lighter colors as bright lights make any room feel airy and open. If your guest bathroom is surrounded by interior walls and doesn’t have a window then you have more reason to choose bright lights over a dim environment. 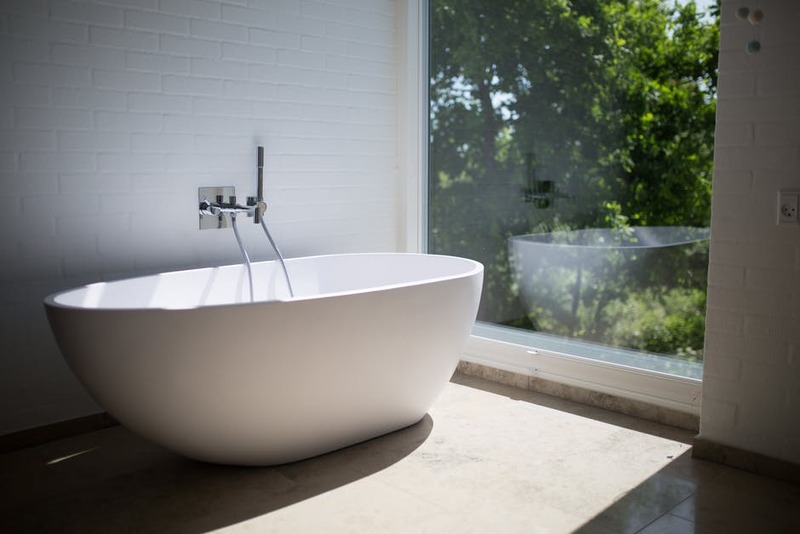 And finally, make sure the bathroom smells nice with light products like clean cotton and fresh linen. Perfumed potpourri and deodorizers will give the impression that you are trying to mask a bad smell, so stay away from those. 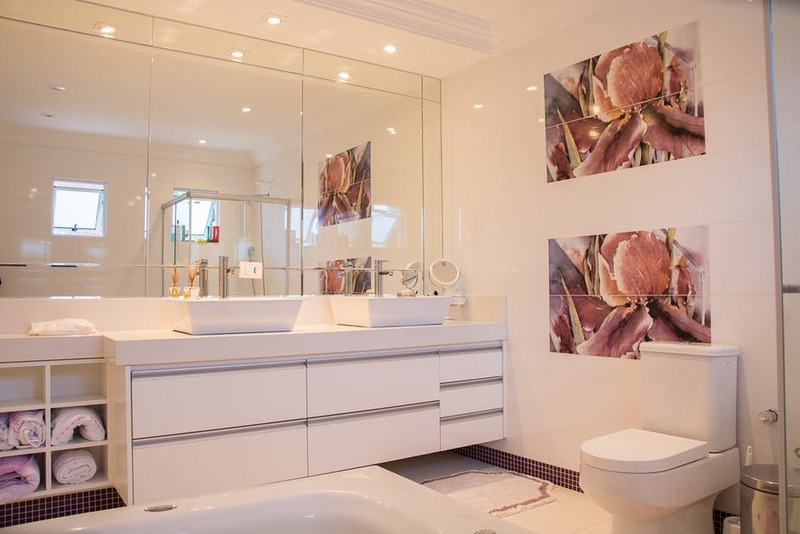 As guest bathrooms are usually smaller than any other room in the house, they can very easily feel tight and cluttered, so you’ll need to avoid keeping many objects in the room by removing unnecessary items and redundant decorations. The goal is to have ample floor space to move and even more space on the countertop. For overnight guests, try and make some room beneath the sink or inside the drawers so they can store their bath items on it. Obviously, don’t forget to clean your cabinets and drawers. Cabinetry and unfinished builder-grade cabinets are adepts at collecting debris, so you might prefer changing to lining drawers with shelf paper because they are easier to clean. More so, you can add cheap peek-and-stick vinyl tiles underneath the cabinets to prevent leaks and water soaking. Now that your guest bathroom is ample and clean, it’s time to make your guests feel comfortable. You’ll need to keep a handful of essential toiletry products on the room like shampoo, soap, mouthwash and conditioner. Pick them up at any grocery or retail store or from hotels when you travel. The items you provide should not be fussy or fancy but functional, and if your soap looks like a decorative piece lying on its small and cute tray, people will think they are not for regular use. Because guests bathrooms have limited space, you must prioritize how you’re going to decorate it, so you’ll need to use your toiletries as decorative instruments. For example, you can lay extra roles of toilet paper in a cute basket instead of putting them in a bag under the sink. Just make sure everything is functional and that you leave enough room to move around. Other things you can do is putting your extra items in an apothecary jar on the counter or inside a decorative basket, or arranging your cute spare towels on hooks or rolled up on shelves. Take precautions, though: model home designers love hanging two sets of towels on the towel bar and tie them up with a decorative tieback. Even if this looks beautiful (more so if it pulls off a color scheme), it makes using the towels a real nuisance. Your creative solutions should be practical and decorative at the same time. Here, a ladder leaned against the wall provided extra storage for towels and bath items. Your next move is to place extra storage on the empty spaces of the wall. However, unless the guest bathroom is huge, add furniture on one wall only, not two. When you’re decorating your guest bathroom, get inspiration from a nice B&B or an elegant hotel and try to recreate what you feel in those places for your guests. Don’t go out your way so much, though, as anyone will appreciate a comfortable, clean and functional space. Here’s how to add some extra style and spirit to your guest bathroom. Small changes can spice it up and turn the space into a welcoming sight for your guest with just a few hours of investment. You can frame your builders grade plain mirror with cheap molding and paint it in colors that compliment the room. You could also replace it with a pivot mirror. Adding a no-fog bath mirror in the shower will aid your guest shower and shave at the same time! New sink features are your bathroom’s best dress. For about $50 you can by a sleek style sink in brushed chrome or a burnished bronze. It’ll give the room a different and fresh look. Next, add a light fixture to the room and match your new features with new towel racks in a similar metal, or chose to add a heated towel bar for the luxury. Getting a warm towel after a bath is always a bliss. Handles and drawer pull cost around $5 to $30 each, and they are a beautiful vanity extra feature that will compliment your bathroom with a delicate final touch. Incorporate art to the guest bathroom: you can find attractive prints, frame them on a canvas and put them on the longer wall of your bathroom. Three to five pieces will make a huge difference, especially in smaller spaces. Also, instead of a simple bath mat, chose some patterns on the floor with a patterned or printed cotton area rug. Do you have guests coming over? Sometimes, all you need to make them feel welcome is some small ideas for your guest bathroom. When friends and family visit you, it’s important to make them feel like they are at home. 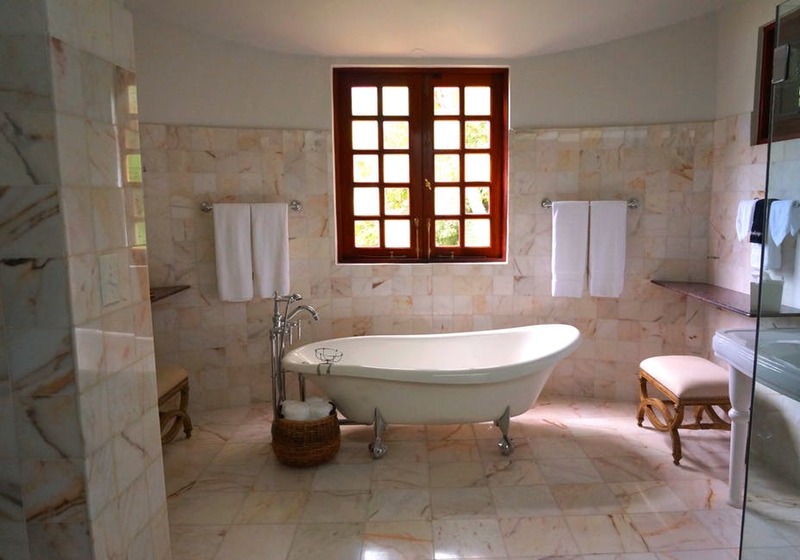 Here are a few ideas that will make your visitors feel pampered and comfortable on your guest bathroom. Make sure guest will have anything they need at hand whether they’re visiting during the afternoon, evening, or staying overnight. Items like cotton balls, toothpaste, toothbrushes, lotion, conditions, shampoo, soap, razors, and shaving cream should be present and ready to impress your visitors. Be sure to have on hand anything your guests might need — whether they’re visiting for the afternoon to cheer on the blue and white, or they’re staying overnight. Think about items such as toothpaste and toothbrushes, cotton balls, lotion, shampoo and conditioner, shaving cream and razors. They’ll be impressed that you thought of everything. 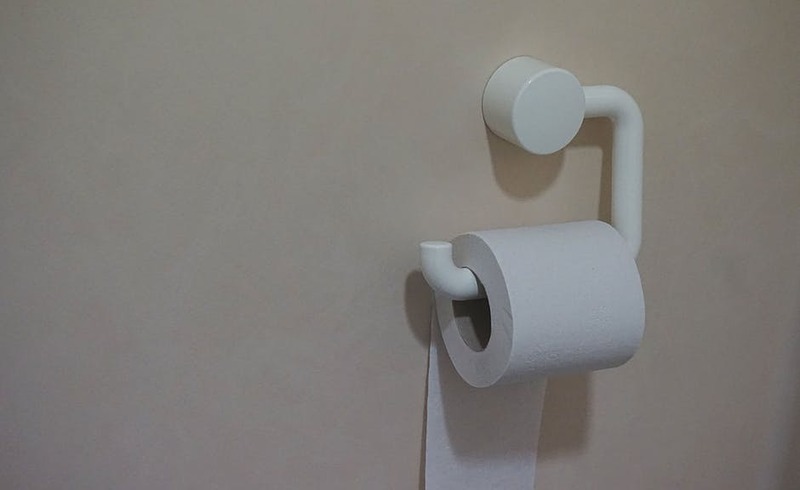 If something bothers your guest, don’t wait for them to ask for a remedy: keep bandages, cough drops, aspirin, ibuprofen, and heartburn medicines your restroom’s cabinet. 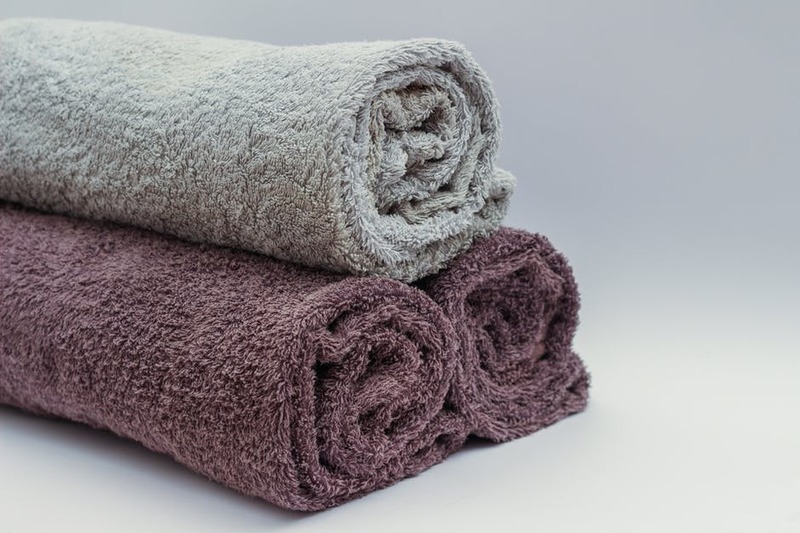 Pamper your guests with the good stuff: luxurious and thick bath towels should be on display in the bathroom instead of tucked away in a closet. Impress your visitors with fancy soaps, pumice stones, bath brushes, and bath oils with loofas. You can also add sweet-smelling candles in the room to create an inexpensive spa-like experience. If you haven’t dedicated much time into the guest bathroom, now it’s time to take things to the next level. Buy a stylish shower curtain, a bathmat, and rugs. If you wish to fo the extra mile for your guests. Place some flowers inside a nice vase and place it in the guest bathroom. Your guest will take note of your extra effort. You really don’t need a big budget or too much time to do some big improvements in your guest bathroom. Just think about some small tweaks and additions that will make visitors feel more comfortable. While also providing them with everything they might need during their visit. What are your favorite ways to spice up your small guest bathroom? Share them in the comments bellow!